Meanwhile, the need for cheap or free crafts made me turn to pinterest for inspiration. 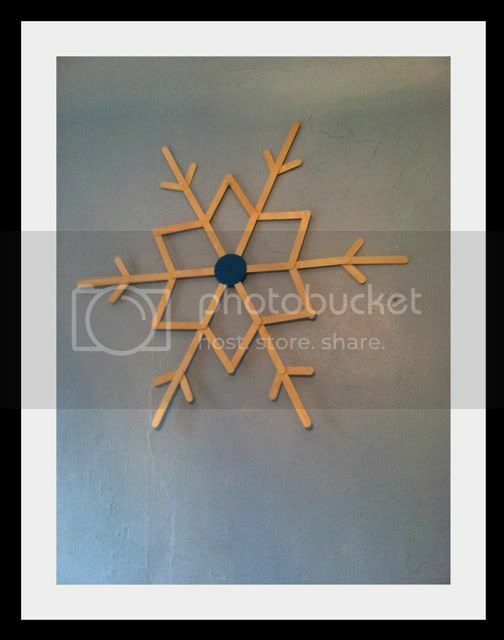 I found the instructions for these popsicle stick snowflakes and fell in LOVE. I really want to put them on the columns in front of the house. But...I ended up hanging them up on the walls of the dining room to get them out of the way and I sort of like them there. I need to make several more if I'm going to put them outside. I'm also going to use the smaller popsicle sticks instead of the jumbo size. The jumbo pack from walmart was $2.50 and made two large flakes. The dollar store has packs of 150, so I could make four skinnier flakes. And this project was ridiculously easy. 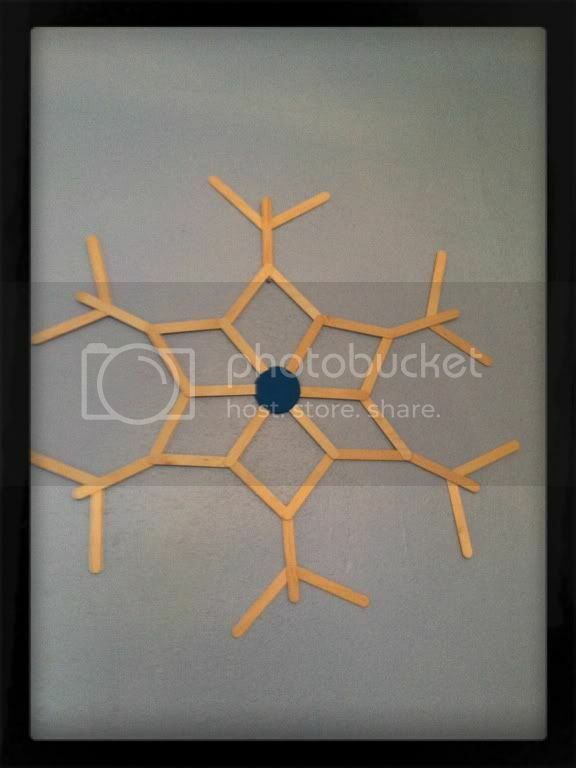 You hot glue popsicle sticks together. Eventually, I'll paint these but that's for a time when the littles aren't home. We just did this also, only I don't have a hot glue gun, so we used craft glue. Lol, it still worked well, but it was a little slower. ;) Love it.